The New York Times discusses a study published in The Journal of Addiction Medicine, which surveyed over 4,000 high school students in Connecticut about their marijuana use. I guess some of the findings are interesting, but does one really care that Caucasian girls are more likely to have tried pot than Asian-American girls? Probably not. The most likely users were 11th and 12th graders, as well as teenagers who had average grades in the B to C range or lower. Teenagers in single-parent households were more likely to report marijuana use than those in two-parent homes. 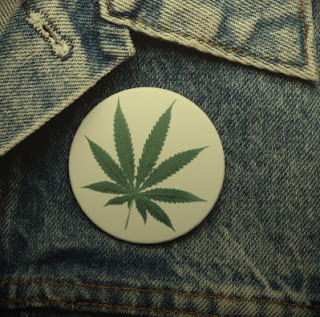 Not surprisingly, various risky behaviors like gambling, drinking, fighting, steroid use and smoking cigarettes were all associated with higher risk for using marijuana. Depression and self-harm behaviors like cutting were also associated with marijuana use. The anti-pot rhetoric is pretty solid, won't you say? "Not surprisingly"? "High risk"? And that subtle jab at single-parent households? Sorry, too many question marks. Read the entire article for kicks here.